For anyone looking to walk away with more than just cash, Energy Casino is the place to be. There is a wide selection of branded giveaways, including iPad Air and iPhone. The casino’s shop is open round the clock for players to claim these rewards anytime. New players receive a welcome match deposit bonus plus free spins. Since Energy Casino employs multiple game developers, its game library is quite impressive to cater for any player, no matter how demanding they are. Whether one is in love with slots (which actually enjoy the lion’s share of the library), video poker, or table games like roulette, blackjack and baccarat, they can find all of them here. With this kind of name, “Energy Casino,” it is no surprise that the casino buzzes with features. The casino’s lobby is stocked to capacity, with games from leading developers such as Microgaming, Evolution Gaming and Net Entertainment. Other developers serving this casino include Play’n GO, Extreme Live Gaming and Pragmatic Play. The list of deposit methods is quite impressive as anyone would expect to find at a casino that has existed since 2013. Players can deposit using Paysafe Card, Visa Debit, POLi, YandexMoney, Neteller, Ukash, MasterCard, Skrill, online bank transfer, Visa, dotpay, Visa Electron, Euteller, Moneta, Trustly, GiroPay, ewire, QIWI and many others. To withdraw their winnings, players have a number of options (though still a little limited) for purposes of convenience. Withdrawals methods include bank wire transfer, Skrill, Neteller, Moneta.ru, and Visa electron. These methods are safe and secure. However, withdrawals times will vary depending on the method one chooses to use. The language section is not bad either. With English, German, Polish, Russian and Czech available, players can choose that which suits them. For those who cannot find their tongue in any of these language, there shouldn’t be any worry as the casino can also be played in a couple other languages, including Latvian, Hungarian, Slovak and Finnish. For a casino that launched in 2013, something like a dozen currencies is not bad at all. 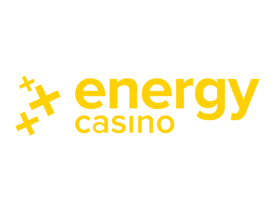 At Energy Casino, gamblers can pay in euros, US dollars, British pounds sterling, Polish zlotys, Norwegian kroners, Czech Republic korunas or Russian rubles. As the casino’s market expands, there is a possibility that players will see more currencies in future. Energy casino can easily be played in an instant play format, where gamblers play directly from a browser. There is no need to download software. With many people in possession of tablets and smartphones, Energy Casino has moved with speed to catch up with technology, thanks to its mobile platform which can be accessed via these devices. If there is one casino with an excellent support system, it is Energy Casino. Its truly energetic support staff means that player’s concerns are addressed fast. The team is reachable in a number of ways, including phone call, email and live chat. The live chat is available in a variety of languages.